Just before World War II, Piet Mondrian fled from Paris to London and later to New York, where he lived until his death in 1944. Upon his arrival in Manhattan, the artist began reworking seventeen of the paintings he brought with him, many of which had already been finished and exhibited. He changed lines and added blocks and bars of color to give them what he called "more boogie-woogie". 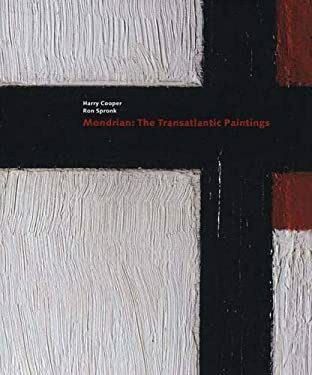 In this groundbreaking book, Harry Cooper, an authority on Mondrian's art, and Ron Spronk, an expert on the technical examination of paintings, investigate the artist's so-called transatlantic paintings and his unusual working method during this period. Their collaboration offers an intimate look into the studio of one of the greatest modern artists and establishes a new model for the integration of art history, theory, and technical analysis. The book begins with two essays by Cooper that discuss the critical reception of Mondrian's work, the place of the transatlantic paintings in the evolution of his art, and the particular significance of their dates and titles. Spronk's essay presents technical discoveries based on the authors' original research, reproducing and interpreting many new X-radiographs, photomicrographs; and photographs taken under ultraviolet and infrared light. The catalogue features such major paintings as Place de la Concorde (1938-43) from the Dallas Museum of Art and No. 12 (1936-42) from the National Gallery of Canada. Each work is discussed in a comprehensive entry accompanied by a dazzling array of illustrations that take the reader under the surface of the painting to reveal its genesis.